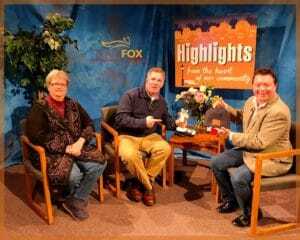 The show airing March 12, 2018 – March 19, 2018 ‘highlights’ the Covenant House, and their upcoming CanStruction and Chef’s Challenge. We also featured the 6th Annual Fox Trot sponsored by the Charleston Parkinson Support Group for Parkinson Research. 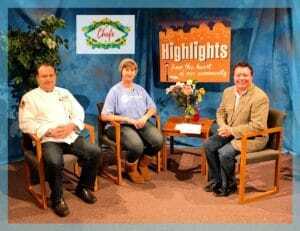 We interviewed Angie Douglas with the Covenant House and Coordinator of CanStruction and Paul Smith, Executive Chef with Buzz Foods. 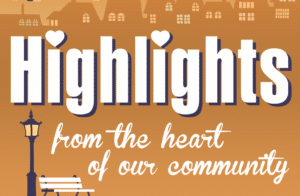 Angie discussed this year’s CanStruction, which is a design-build competition for charity where giant structures are built entirely out of cans of food then donated to the Covenant House’s Food Pantry. This years build in March 23rd, with opportunity for viewing from March 24-28, 2018 at the Clay Center. Then the 8th Annual Chef’s Challenge will unfold on March 27th at the Clay Center from 5:30 – 8:30 p.m. Chef Paul talked about the new twist this year. It is not a sit down 5-course meal, more of a dine-around with tapas as 15 local chefs share their time, talents and tasty treats with the audience of 400. Also lots of great auction items to bid on. Click here to secure your tickets. Don’t Wait, as they go fast. We also interviewed George Manahan and Connie Jones, from the Charleston Parkinson’s Support Group. “The Fox Trot’s goal this year is to raise $60,000 for the Michael J. Fox Foundation for Parkinson’s Research,” George Manahan, a founder and organizer of the area Fox Trot, said during the show. “One hundred percent of all monies donated during the Fox Trot will go to Parkinson’s research. More than one million people in the U.S. have been diagnosed with Parkinson’s disease. The event is scheduled for Saturday, March 24, 2018 at the Capital Market with registration at 8:00 and race/walk at 9:00 a.m. Stick around for the Green Chili Shootout from1-4:00 which also benefits Parkinson’s Research. Connie encouraged all to join her team; Momma Jones. She is so grateful for the love and outpouring of support for her and this event. She is confident a cure is upon us as great strides continue to be made in treating PD.